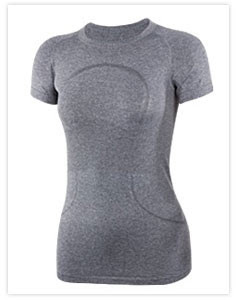 I bought myself the Run: Swiftly Tech SS shirt from Lululemon on the weekend. It is not this color, it is aqua with a grey collar. I LOVE IT. I went for a run today in it, and it is perfect. I am glad I didn't wait longer. My other running shirt is weird material and always wants to ride up. This shirt stays put! I think you deserved the splurge! Especially when it is contributing to a healthy, active lifestyle! i gotta say you're my biggest running inspiration! remember i started last fall and then stopped because of my wisdom teeth surgery? well, i kept putting off starting again until last week! ahhh! i even managed to run after work yesterday! 40 minutes of running 1 minute/walking 3 (so 10 minutes running) and then 20 more minutes of walking... thanks for inspiring me! That is awesome Dayna! I am exited for you! Maybe we can go running together next time you come home!